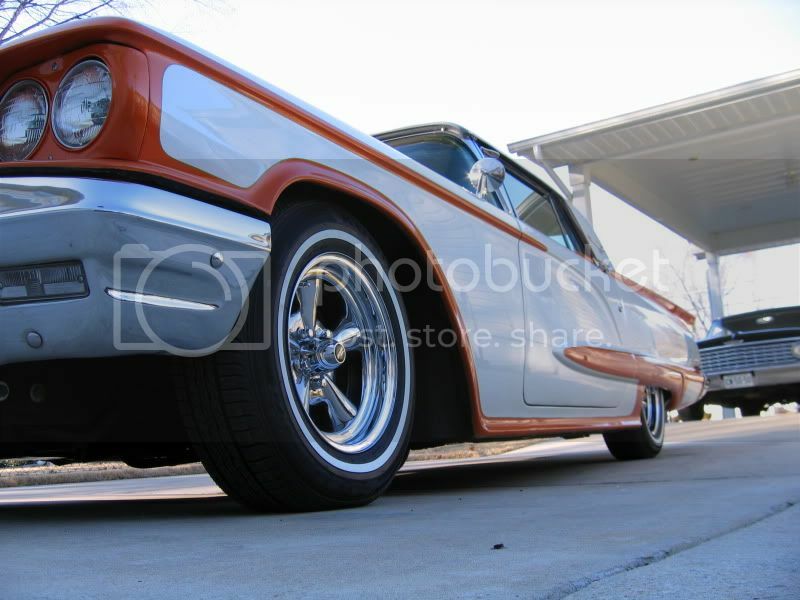 I took the Thunderbird to a show for the first time other than cruise-ins on Saturday. 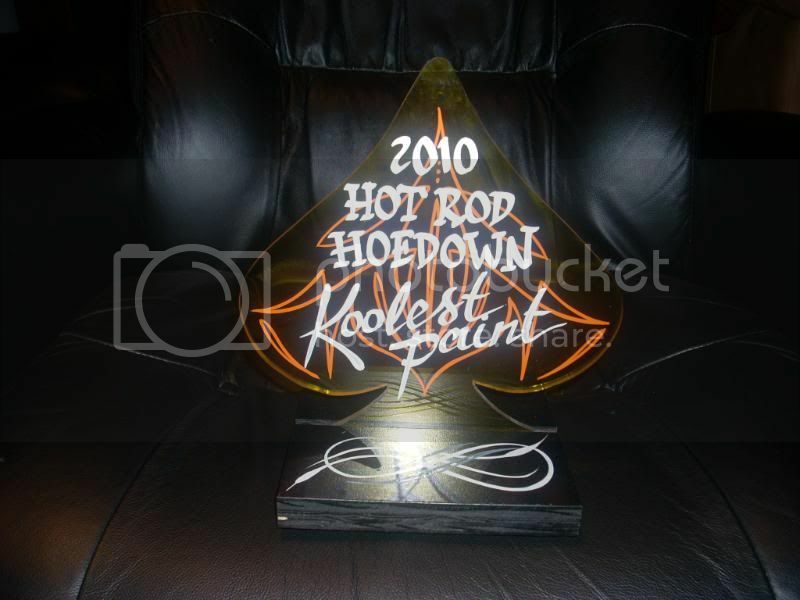 It was a 2 hour and 10 minute ride each way to and from the show (The Hotrod Hoedown) in Philadelphia and the Thunderbird won an award for "Koolest Paint" .
" If my calculations are correct, when this baby hits eighty-eight miles per hour ... you're gonna see some serious sh*t. "
Congratulations on the award, Paul! 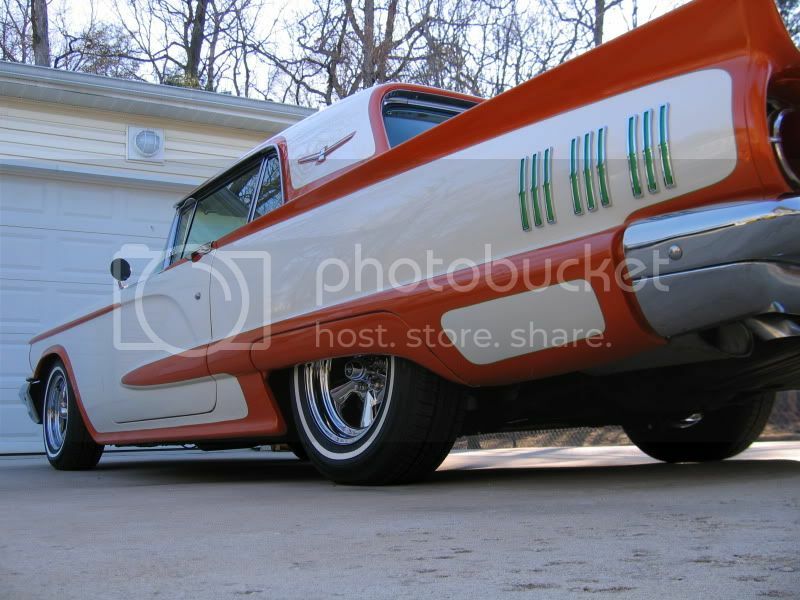 It is a cool paint job! That is a pretty cool looking award in its own right! Congratulations on your Award Paulie. Hope there's many more to come. And yes, the Paint is KOOOL. Kinda got that Crager thing going on? I know they maybe something else but they look awesome! I bought a set old school Cragers off Ebay, I was a little leery about putting them on People around here love them, say they set the old Bird off! 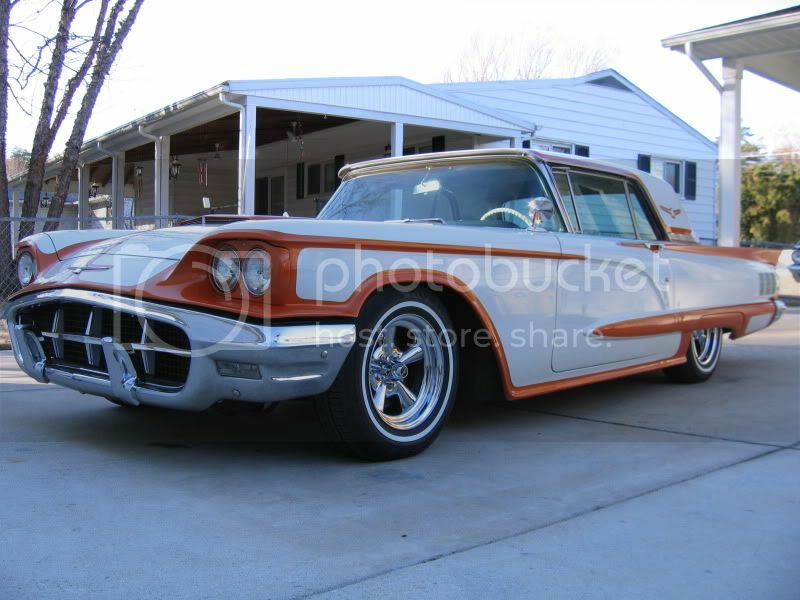 Congratulations you have one beautiful Thunderbird there!!! Have you guys had 'issues' with Astro Supremes? There have been cases here in NZ where the welds holding the centre to the rims have cracked, generally this can only be seen on the back of the wheel, best seen when the wheel is off the car and invariably involved two or three of the 'spokes'. There have been several instances of this on different cars, there has been some comment that these wheels are assembled at four different sites so it may be that one plant has a problem. After discussion with the LVVTA Technical Adivsory Committee, many LVV Certifiers throughout NZ, and outside experts, it is LVVTA’s opinion that these wheels are of a very poor design (even aside from the poor weld quality), and are very unsafe. LVVTA believes that these wheels should not be used, and LVV Certifiers will be instructed not to approve any such wheels for LVV certification if presented, irrespective of condition. One of the problems is that because of the design, even if a set of wheels hasn’t cracked at the time of a vehicle's LVV certification inspection, it is most likely that it's just a matter of time before they do. 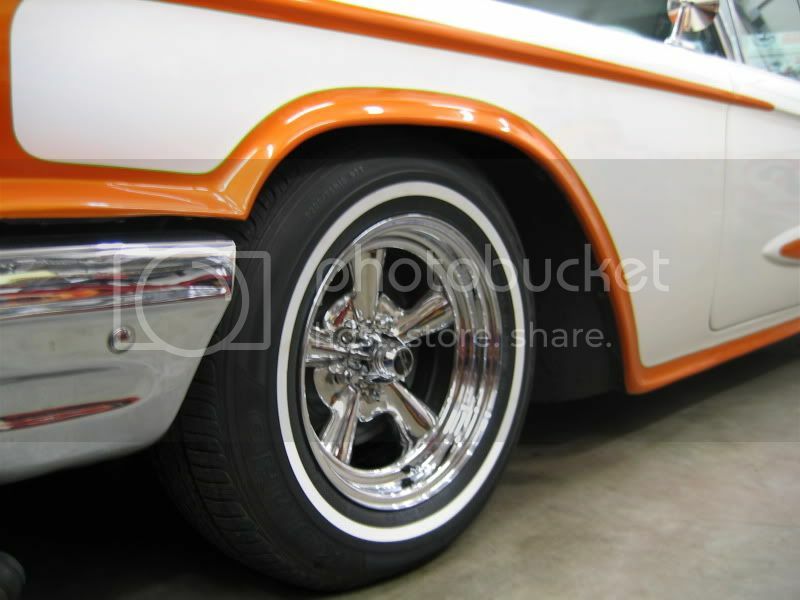 The rims are manufactured in two pieces, each piece is chrome-plated, and then the two sections are welded together. A likely cause of the weld failure is that the welds were deliberately carried out at very low heat so as not to damage the chrome on the front face. Despite that, the overall design is, in LVVTA's opinion, very poor".